Snapchat has over 180 million daily active users, making it one of the most popular social messaging apps. In addition to multi-media messaging, it’s Snap Map feature allows users to map content to a geo-location. However, it’s only in the last year that Snap Map Content has been made available outside the app itself. Now, through Local Measure’s new integration with Snap, retailers, hospitality providers and sports teams can promote Snap Map content to build connections and engagement with consumers on premise. 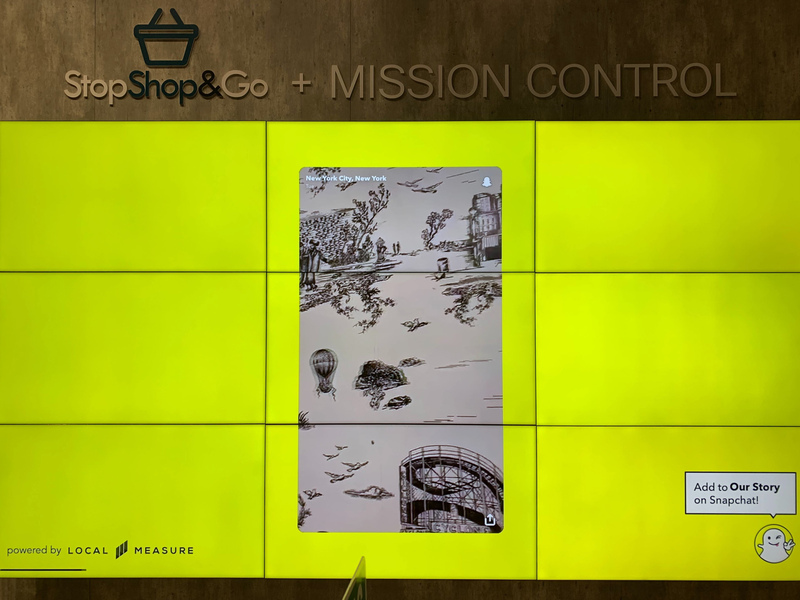 augment their digital presence in-store/on-premise with publicly shared Snaps made viewable on Cisco Vision screens. generate word of mouth by amplifying social stories. The new partnership is also a great example of how Cisco is finding new ways to deliver business outcomes to their clients by partnering with customer-centric software and services. Brands have recognized Snap as a popular platform for sharing and consuming social content, while Cisco provides the infrastructure and technological capabilities required to deliver digital experiences through Cisco Vision, an end-to-end dynamic signage solution. Through Local Measure, clients can now marry the services of Snap and Cisco by sharing location-specific content and engaging customers in venue. "Local Measure makes it easy for businesses to communicate directly with their customers," said Bryan Bedford, Global Industry Partner Lead, Sports, Retail & Media, Cisco. "Combining social content with location intelligence, and displaying that on Cisco Vision screens, gives businesses an easy way to share the customer experience while creating opportunities for engagement. The combination of Cisco Vision with Local Measure and Snap, is one of the most exciting integrations for retail this year." Visual-based technology is crucial now when it comes to communicating your brand. Customers want to not just see what you have on offer, they want to see other customers using it, wearing it, and engaging with it in all different contexts. We are very proud to form this new partnership that’s helping businesses connect to their customers in a more relevant and personal way and drive positive experiences online.